Ah Boys to Men The Musical @ Resorts World Sentosa - I was delighted to attend Ah Boys to Men VIP Gala Performance at Resorts World Sentosa. Ah Boys to Men is my favourite Singapore Movie by Jack Neo. Talented Singapore Director - Jack Neo worked together with Irene Ang and Beatrice Chia Richmond to produce an amusingly hilarious musical. It is VERY SINGAPOREAN, with the mix of English, Mandarin, Malay, Hokkien, Tamil but mostly the musical consists of official Singlish. 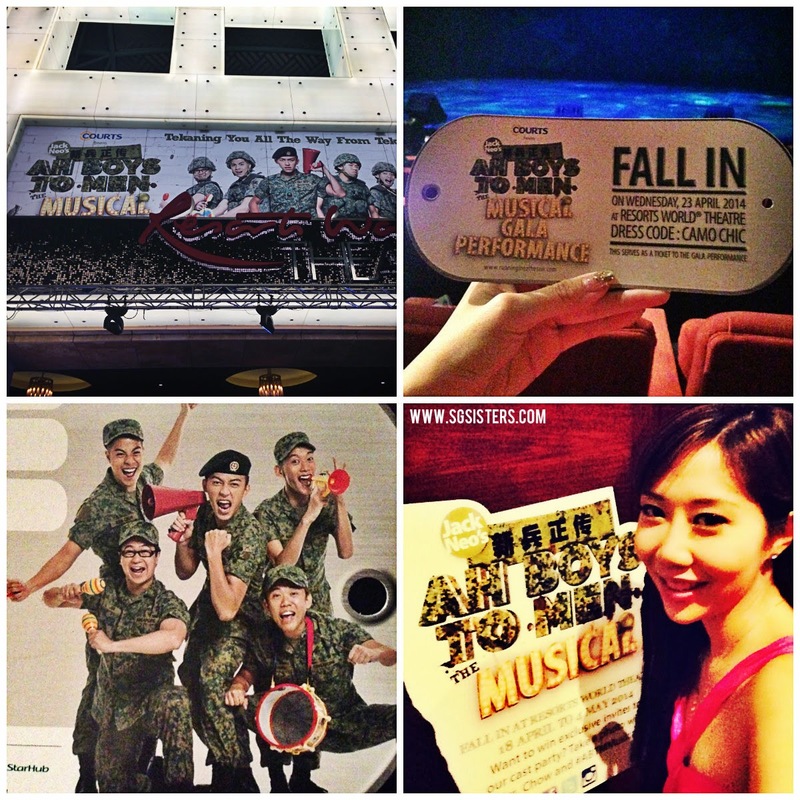 Special thanks to Kim Lim (Instagram@kimmylecute) for inviting me down with her to watch this musical. I loved this musical from the beginning to the end. The story line is very similar to the movie Ah Boys to Men. 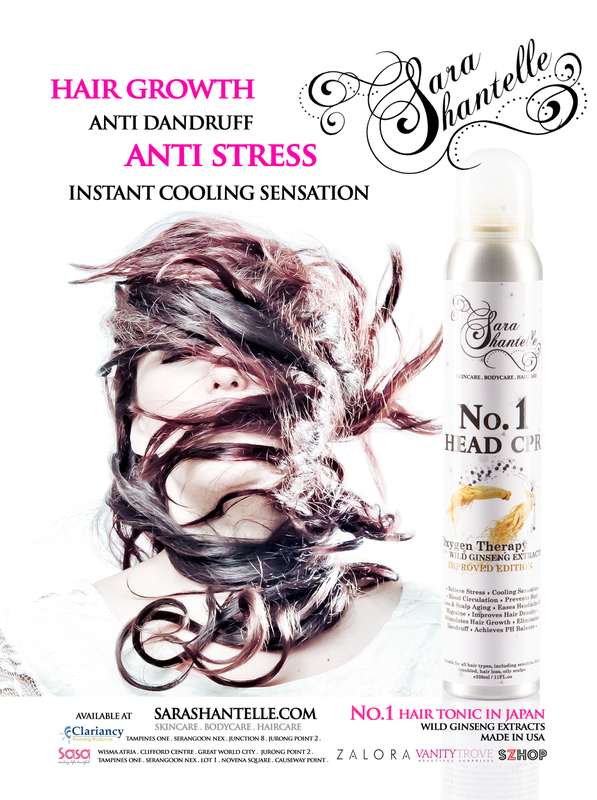 Very original, hilarious and highly entertaining! 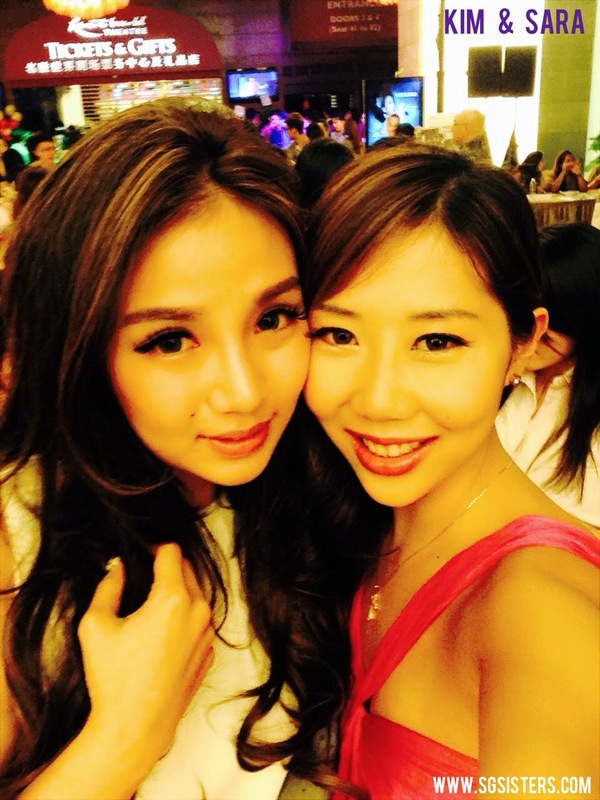 I also bumped into Celebrity Blogger - Dawn Yang there. She looked gorgeous as usual in her lovely dress! My good friend Eri, also accompanied me for the night. We both loved the musical. I am going to bring my parents there to watch it with me again. 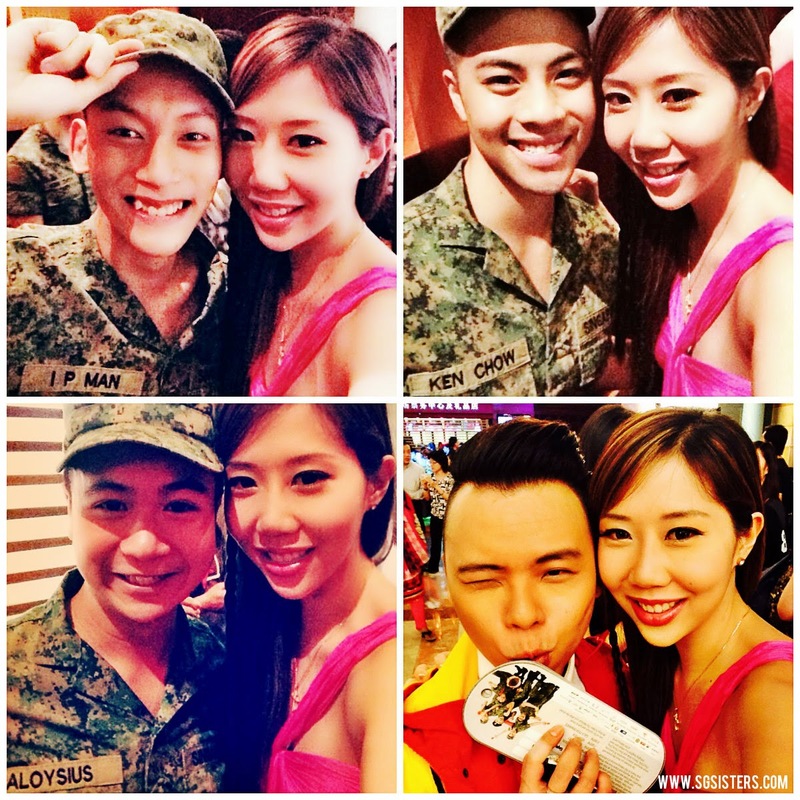 Ah Boys to Men Musical includes Ken Chow, IP Man, Aloysius Jin and Sergeant Ong. They turned into Wayang kings are they sing and dance their way through National Service. They impressed the audiences with their abilities to sing and dance LIVE. They are simply very talented! Original cast from the movie, Tosh Zhang, Wang Weiliang, Maxi Lim and Naoh Yap, reprised their roles in this musical. Lead Singer Benjamin Kheng replaced Joshua Tan who is studying aboard. Other mediacorp celebrities like Liu Qianyi, Chua En Lai, Patricia Mok and Zhou Chong Qing, joined in the Tekong Musical, bringing jokes, joy and laughter into the whole musical. 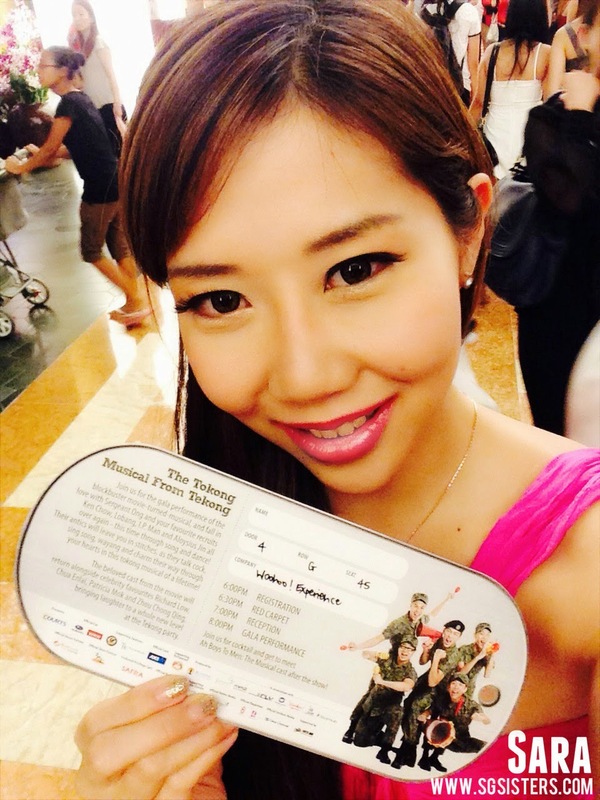 Ah Boys to Men The Musical is the best musical that I have watched so far in Singapore. It is even better than some of the Broadway musicals that I have seen in New York and even London. It is a must watch musical for all Singaporeans! 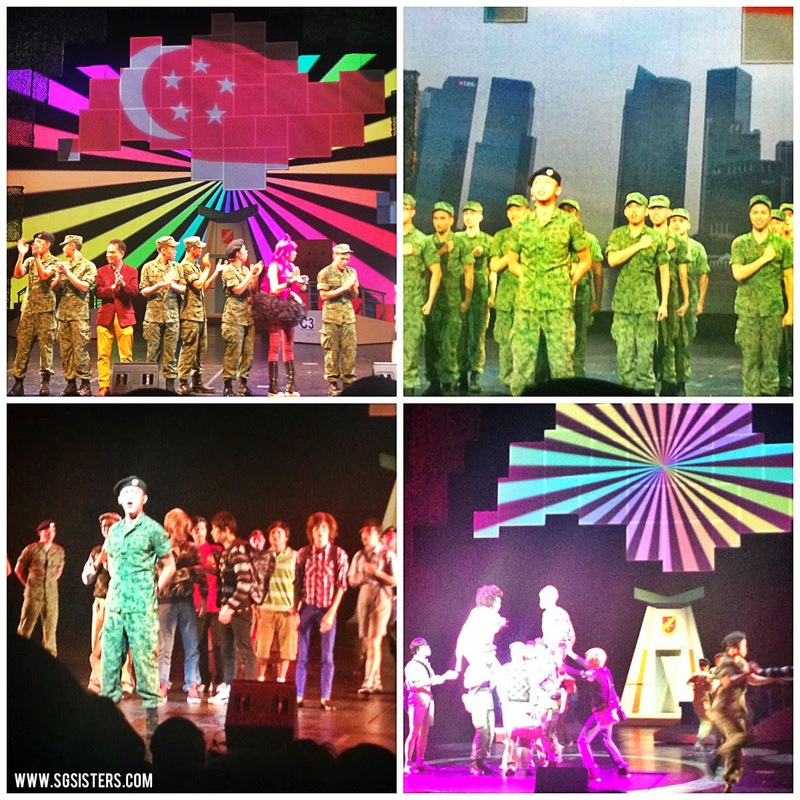 There is no better musical than Ah Boys to Men which every Singaporean may relate to. Their jokes are meant for us Singaporeans. The songs in the musical were interestingly funny and contains Singlish with words like "Chao Keng" and "Cheong", which only Singaporeans may understand. Tourists or Ex Pats out there, no worries, there are subtitles on their screens if you would like a good laugh too! This is a Musical that would bring families closer together. Watch it to experience a memorable family experience. Every single one, from the kids, teens, father, mother, uncle, aunty, even your grand parents would be able to understand their jokes. They may be quite a lot of dirty jokes, hence parents, who are a little concern over vulgar languages, please be reminded that this Musial is rated PG. This is a Singapore Production. 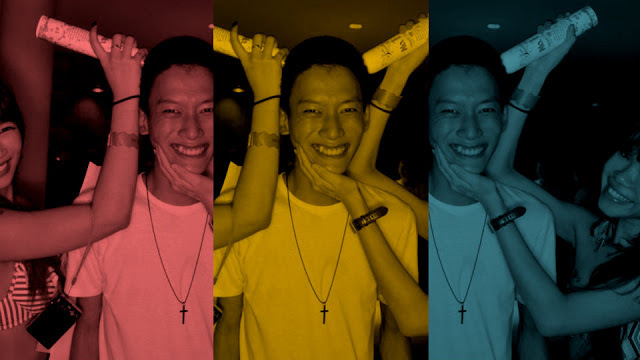 I am Singaporean. And I am really proud to be one. Famous Politically Funny Blogger: Mr Brown as Army Captain.